990,00 € Tax incl. 825,00 € Tax excl. 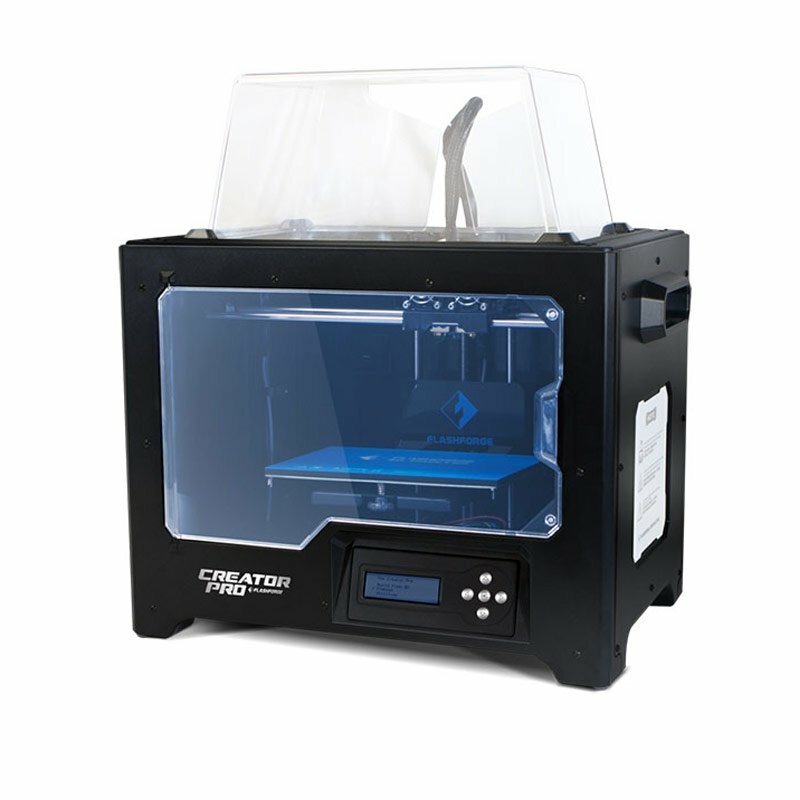 The FlashForge Creator Pro 3D printer offers great performance at a reasonable price. The results produced and its ease of use make it the perfect 3D printer to get started in 3D printing. With several years’ experience, FlashForge continues to develop its 3D printers to make 3D printing accessible to everyone. Supplied ready to use, you can print a multitude of items, in a multitude of materials, 15 minutes after unpacking your 3D printer! FlashForge innovates and offers great new features on its latest 3D printer, starting with the MK9 extrusion system with easy flow through a tension spring, Nema motor and a Teflon tube to reduce friction. Technical features: the metal frame and non-deforming aluminium plate, a new plate adjustment system, two guide rods on the Z-axis, acrylic panels to maintain the temperature, an LCD display, LEDs and a higher printing speed! This 3D printer uses Makerbot technology for its reliability, and FlashForge evolves the machine while maintaining an affordable price and simple operation. Double extrusion: to do what? 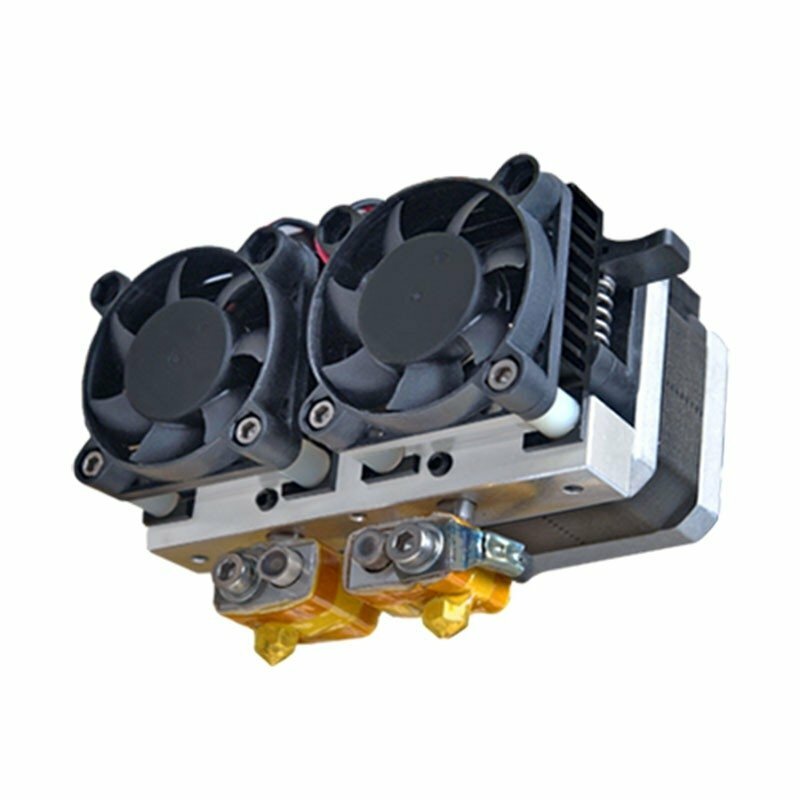 The FlashForge Creator Pro 3D printer has two print heads (extruders) for printing in 2 colours or printing soluble supports for complex prints. To print in two colours, two 3D files are required (one per colour). 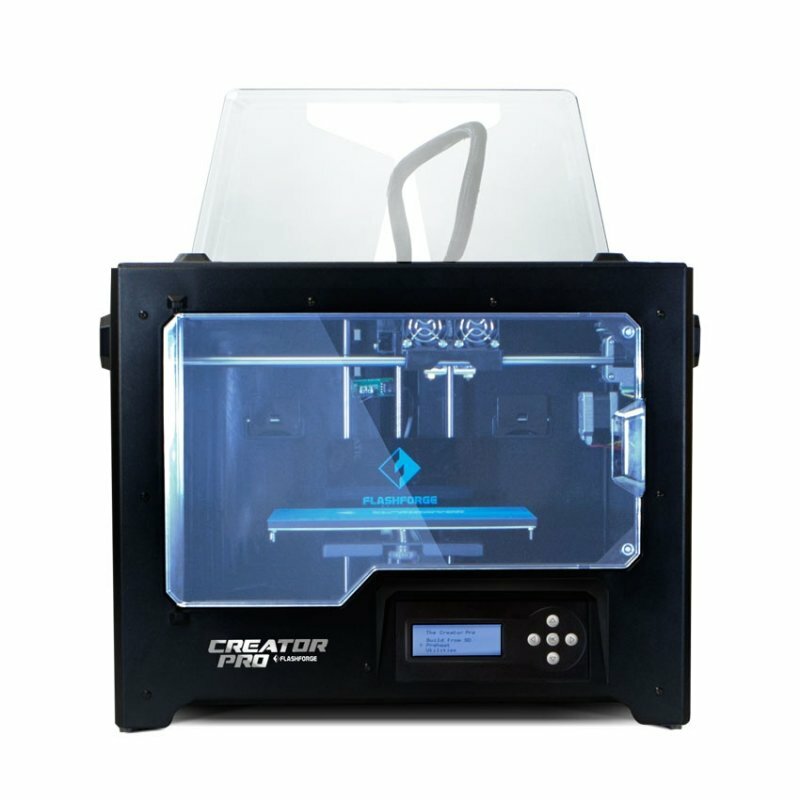 The Creator Pro’s layer thickness is 100 microns max, meaning the layers of materials added are 0.1mm high. 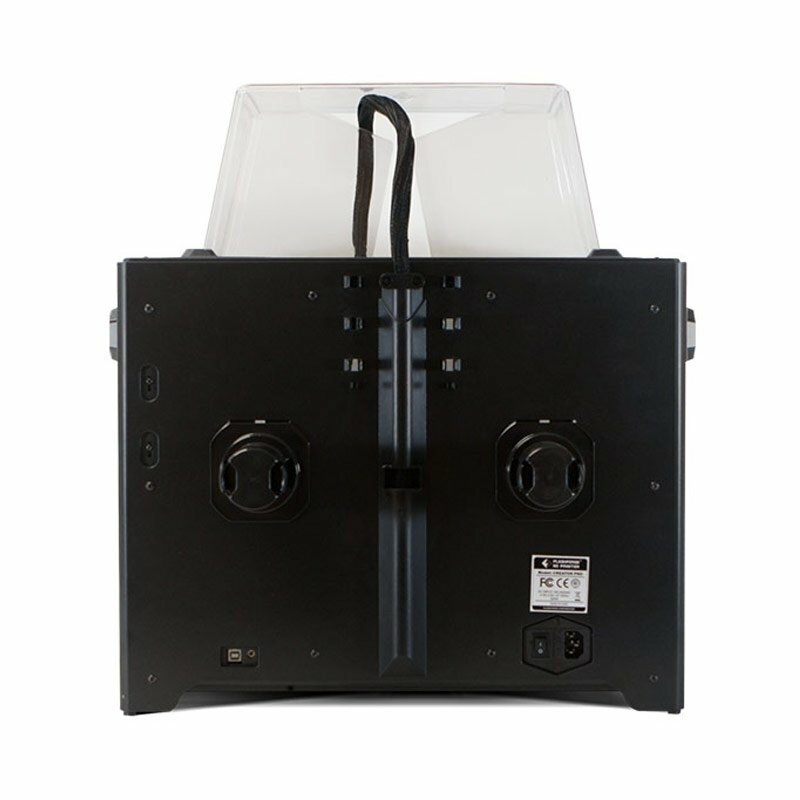 The machine’s volume allows for medium-sized creations while avoiding material becoming detached via the plexi chamber. This FlashForge is practical and prints all materials on the market (up to 260°C): ABS, PLA, flexible, wood, nylon, composites and metals. Nozzle for the Flashforge with Teflon tube This nozzle fits on FlashForge printers, replacing clogged or worn nozzles.